We’ve all heard people talk about how they’re utterly afraid of the dentist, or certain aspects of the dental experience. 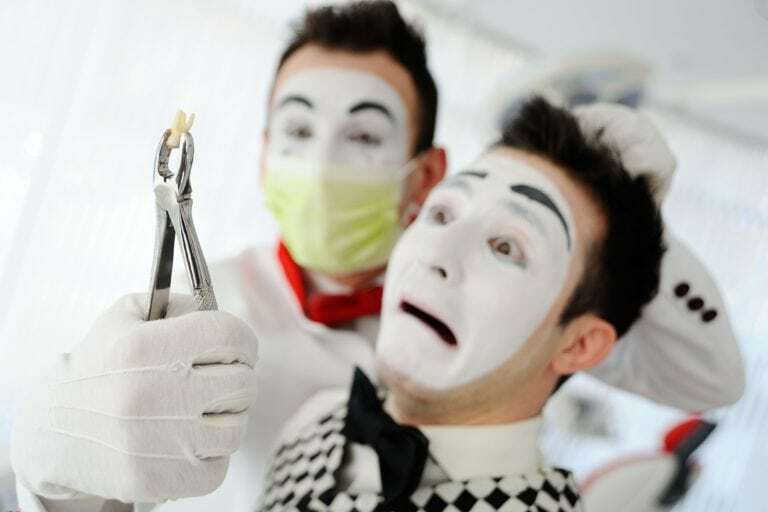 With so many people who find going to the dentist a generally unpleasant experience, it’s hard to take those who talk about it like it’s their worst fear seriously, and it often begs the question “Is a phobia of the dentist real?”. A simple answer is “yes”, as dental phobias are listed in the DSM, or the Diagnostic and Statistical Manual of Mental Disorders published by the America Psychiatric Association (APA), but the ways it can manifest and the severity vary. So What Is Dental Fear? A phobia of dentists, known as dentophobia, is a fear of dentists and dental related equipment that ranges in severity from anxiety producing to paralyzing fear. Those who suffer from dental fear may only experience symptoms when going to a dentist’s office, or they may experience symptoms from something as simple as the sound of a dental drill or someone in traditional dental attire. In some cases just talking about dentists is enough to produce symptoms. Since good dental hygiene and care is essential to a healthy life it’s essential that those suffering from dentophobia get help coping with their fear. What Concerns Face Those With Dentophobia? The biggest concern facing those with dentophobia is poor dental hygiene, a common result of their inability to take advantage of the help they could receive from their dentist. In cases where they begin experiencing dental concerns, they may not have it checked out, leading to increasingly bad dental health, painful cavities and possibly even undiagnosed oral cancer as a result. Without regular dental care, minor concerns can become major problems in the fullness of time. What Help Is There For Those With Dentophobia? For patients with minor cases of dental fear, it’s important to find a dentist who is familiar with their condition and who is prepared to help ensure their experience is comfortable and understanding of their concerns. If the patient is experiencing severe symptoms caused by dentophobia they may need the help of a mental health professional to help them work through their fear so they can return to having regular dental care and protecting their health overall. No one answer is right for any patient, but working with a dentist who knows about the realities those with dentophobia face is essential to helping overcome these fears. One such dentist is Dr. Alireza Movassaghi at Alameda Dental Group in Walnut Park, CA. Throughout their career they have worked with those who suffer from dentophobia, striving to create a safe and welcoming environment that ensures that their fear doesn’t overcome the need for great dental health. If you suffer from dentophobia and want to work with a dentist who will help you overcome your fear and be understanding of the anxiety you face, give them a call today. Everyone deserves to have a great smile and a life free from oral pain, and Dr. Movassaghi is ready to help you achieve it.